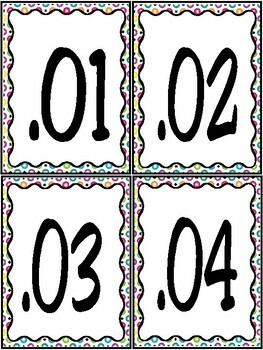 This activity supports TEKS 4.2G: Relating decimals to fractions that name tenths and hundredths. 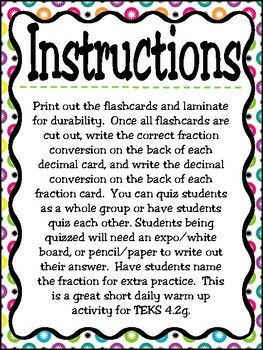 Print out the flashcards and laminate for durability. 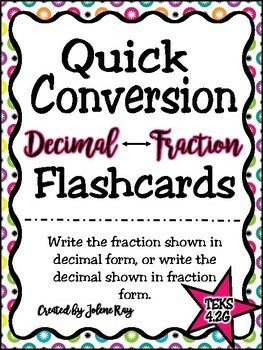 Once all flashcards are cut out, write the correct fraction conversion on the back of each decimal card, and write the decimal conversion on the back of each fraction card. You can quiz students as a whole group or have students quiz each other. Students being quizzed will need an expo/white board, or pencil/paper to write out their answer. 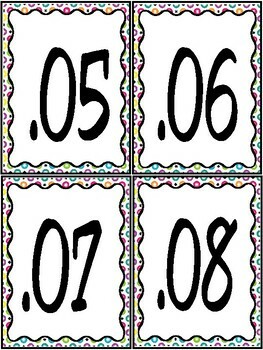 Have students name the fraction for extra practice.